Steve Merril‘s perfect MLB run ended at 19 straight winners when he lost with the Chicago Cubs -1.5 on Thursday. There’s a new sheriff in town as Bob Harvey enters Friday on a 6-0 run with his premium MLB selections. SAVE A TON of money with a 30 Day subscription of Bob Harvey, You’ll literally pay a fraction of the cost by signing up for a full month instead of making a single purchase each day! We guarantee you’ll make a PROFIT or we’ll give you 30 more days at NO EXTRA COST! Another handicapper to follow right now is Stephen Nover who called the Braves to beat the Cubs outright at +248 last night as his free pick and cashed in a +128 winner on the Padres as his premium selection. Nover is perfect on his Canadian Football League plays this season and has his GAME OF THE WEEK going Friday. Stephen also has three baseball plays today headed by his RUN LINE GAME OF THE WEEK. Take advantage of all of sizzling Stephen’s Friday plays at a special discounted All-Access package price at $35 and sweep! Check out all Stephen Nover’s premium packages and subscriptions. 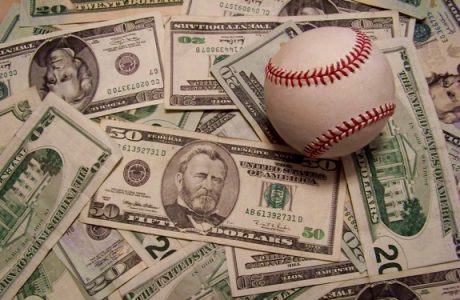 And last but not least, let’s not forget our star MLB handicapper Mike Lundin who is 35-22 (62%) WITH HIS MLB PREMIUM PICKS SINCE JUNE 20! Do yourself and your bankroll a favor and INVEST IN MIKE’S KNOWLEDGE and let him do the work of identifying the winners for you. All Mike’s plays come with a QUALITY WRITE UP which will have you UNLOAD WITH 100% CONFIDENCE! Mike has a 3-Pack of MLB winners going Friday which includes 3 x 8-STAR rated sides.